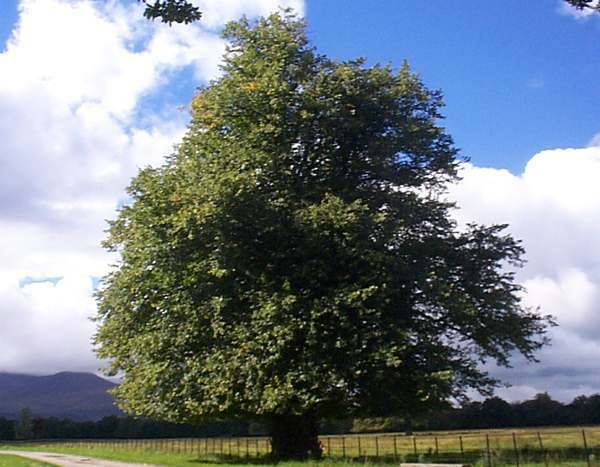 Many of the lime trees in Britain are hybrids between the large-leaved lime and the small-leaved lime species. This impressive tree grows to a height of 45 metres, making it one of the tallest broad-leaved trees in Britain, and it has a sprouting bole. In towns these trees attract aphids, which deposit sticky honeydew droppings on cars (and on people!) beneath them. 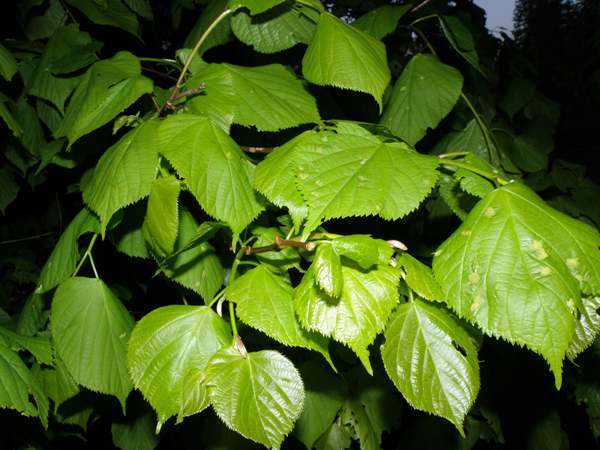 The large-leaved lime, Tilia platyphyllos, is a native tree (although quite a rare one in the wild) of Britain and can reach a height of 30 metres. 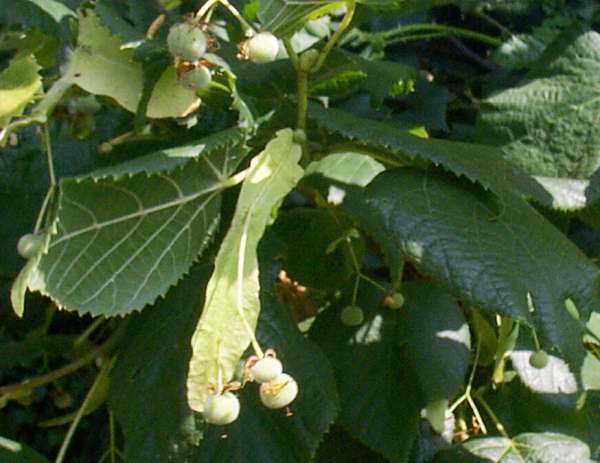 Many specimens were planted in parks and gardens, as this is quite a rare tree in the wild. The close-grained wood was used for carving as well as for piano keys. A characteristic of this species is that the bole (base) of the trunk does not produce a dense growth of sprouting shoots, whereas the small-leaved lime, Tilia cordata, invariably does and often has a bole completely covered in sprouting twigs. 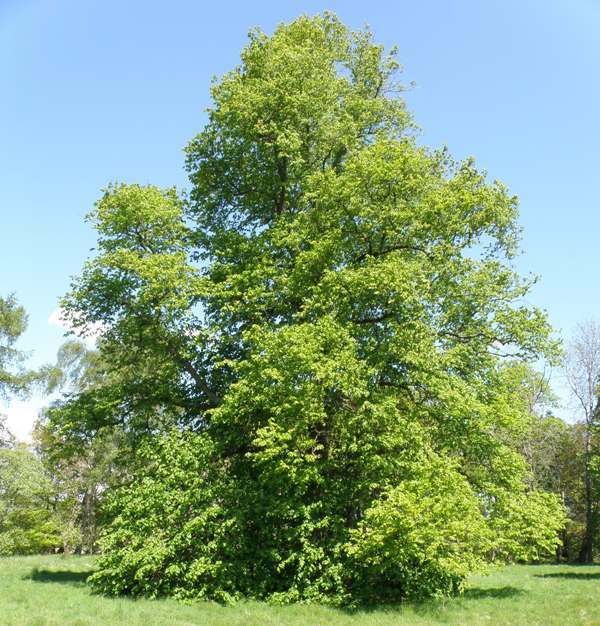 Small-leaved lime trees also grow to 30 metres in height; their leaves are darker than those of large-leaved limes.